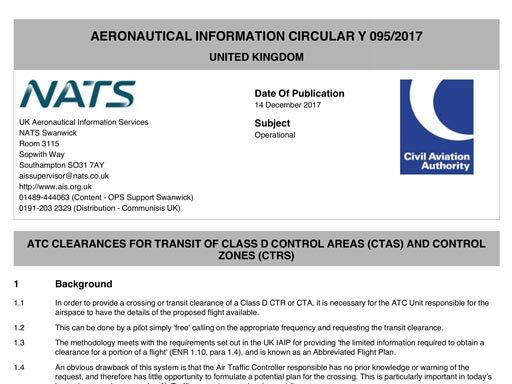 A simple online pre-notification tool (part of NATS Airspace User Portal) will be available which will allow pilots to ‘file’ in advance the limited details of an Abbreviated FPL required by ATC. A simple registration process allows pilots to access the pre-notification tool. This evaluation will commence on 1 January 2018 for an initial period of 6 months.